Steve Quirk presents Fusion Flavours on Jazz FM, weekdays from 1pm. 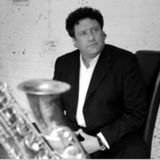 Steve&apos;s been, in the words of superstar saxophonist Dave Koz, the &apos;go-to&apos; guy for all things smooth jazz. As host of Fusion Flavours, launched in Manchester in 1990, Steve&apos;s passion for the music he loves and his desire to share it has helped make smooth jazz much more than just an American phenomenon. Whilst hosting the show on Jazz FM for eight years throughout the &apos;90s, he compiled all 15 all-star double albums and has been instrumental in bringing top artists like Fourplay, Dave Koz, Peter White, Boney James and Rick Braun (plus the popular annual Guitars & Saxes tours) to venues across the country.